Call for Artists, Architects and Designers: “Five Senses” Design Hotel! 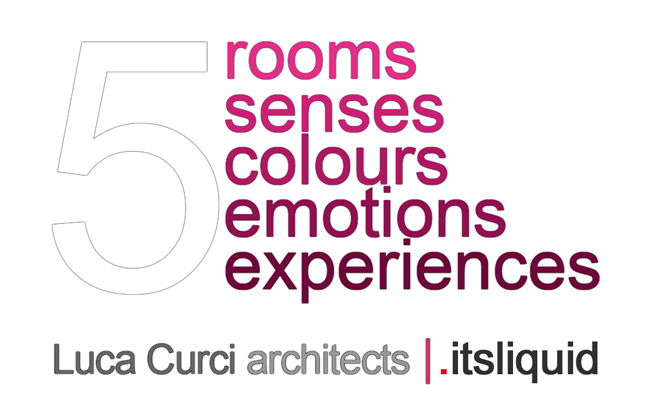 Luca Curci Architects asks artists, architects and designers from all over the world, to join a new project: styling the interior design of an exclusive five-room hotel, based on the five senses’ theme. The Design Hotel stands at the first floor of a high-class building of the end of the 19th century, in the centre of Bari, nearby the historical Petruzzelli Theatre. It consists of five rooms (each room will be dedicated to one sense) plus the hall and breakfast room. The interior of this new Design Hotel, projected by Luca Curci Architects, will be based on the main concept of the 5 senses: each room will be dedicated to only one of the five senses and its style will reflect them through the use of different furniture, materials, shapes and colours. The Hotel’s guests will live a different and total experience and their senses will be stimulated and delighted in every room. Participation is open to: artists, architects and designers, associate groups and studios, from all over the world, without age limit. You can propose colours, materials and furniture but you can’t change anything about ceilings, floors and architectural distribution. A jury will select the best five projects (one for each sense/room). Winners will receive every kind of editable files and supports to create their 3D and 2D room’s project. – winners will be advertised on It’s LIQUID Group by press office services and newsletter service to over than 80,000 subscribers.